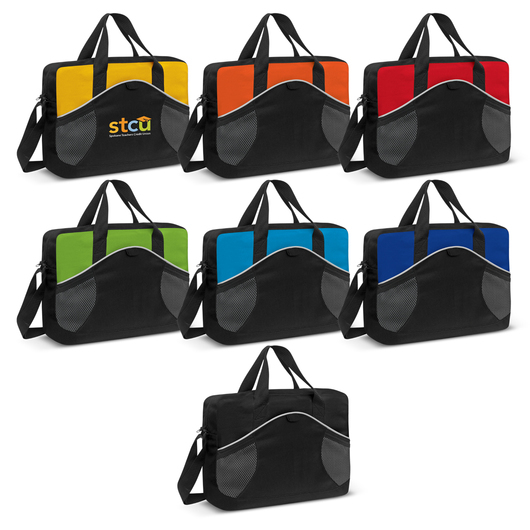 Stylish satchel bag designed to promote your brands anywhere you go! It's the perfect bag for your travel needs complete with multiple compartments for all your daily essentials. This stylish business satchel which is manufactured from robust 600D polyester. It features a adjustable woven shoulder strap and woven carry handles. 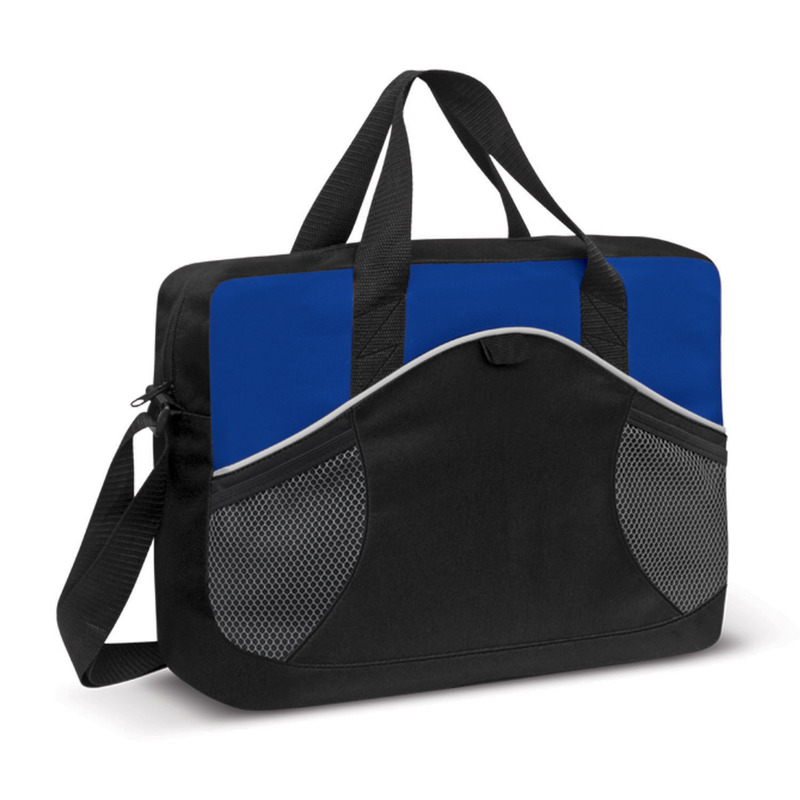 It also includes contoured white piping, decorative mesh on the front, a handy slip pocket, a mesh side pocket and a business card holder on the back.